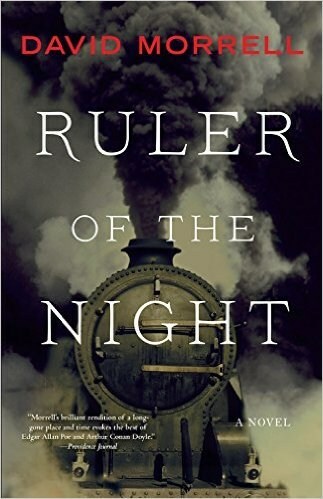 Ruler of the Night by David Morrell. All three books were captivating. Morrell's words put you in England at the time Scotland Yard needed De Quincey's help. All of them are so well written, I hate knowing the same characters won't be used again. If you like "vintage" England for a crime series you should try the books of David Morrell. 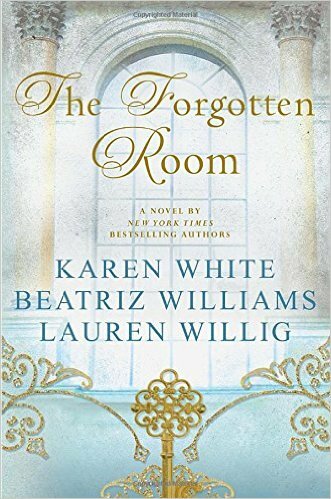 The Forgotten Room by Karen White, Beatriz Williams & Lauren Willig. Wow.. this makes 10 books I've read by Karen White over the years! If you wonder why that surprises me, it's because most of them involve a love story and I am not big into love stories. It seems however she writes a compelling story around the love story to make them interesting enough for me to enjoy. In this one there were three generations of mystery to solve along with the love story. ...and I do like family secrets or discovering information on families. So this one filled the bill nicely. 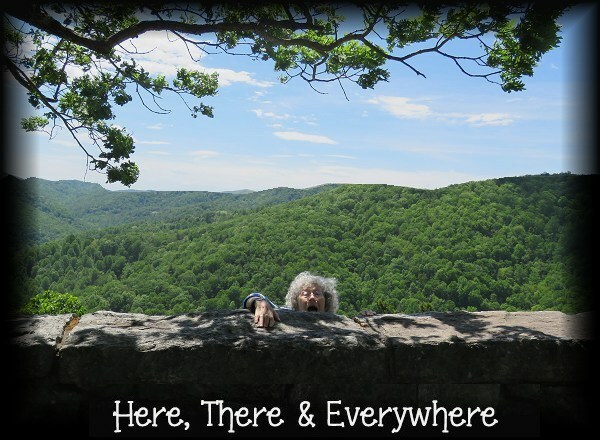 I think Karen White books are a good gap filler for me to break away from crime now and then. So, it that's you.. you may well enjoy this book. Or.. one of her many other books! Lost and Gone Forever: by Alex Grecian. 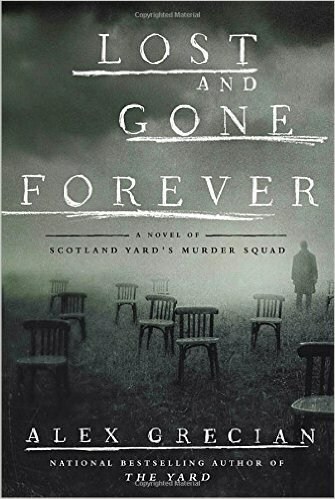 All of my favorite characters are back so immediately upon starting this book I felt as though I was right back with the London Murder Squad...except that nothing was the same. So...in order to truly get into this book you really have to have read all of the others that came before it. There really isn't any other way to truly understand what these characters have gone through and how much they have endured. So...briefly...Walter Day has been held captive by Jack ( the Ripper ) for a year. Hammersmith...a former police associate of Day's...has a private investigator's practice specifically set up by Claire Day...Walter's wife...to find Day. Jack is clever and cruel and sadistic is still killing people. There are other people...specifically hired to kill Jack...they are hired by a powerful secret society...not the police. These books take place in Victorian London so everything is kind of squalid, smelly and vermin filled...plus there are lots of orphans. In those days a penny bought a lot! Jack has messed with Walter Day's head so much that he really doesn't even know who he is any more. Alex Grecian has now written 5 books of Scotland Yard's Murder Squad. .. and I have read them all! He built some really good characters and one gets invested enough to want to keep reading more ! In order the books are: The Yard, The Black Country, The Devil's Workshop, The Harvest Man and Lost and Gone Forever. In order to really know the characters one should start at the beginning. Even though they are all new cases, what happens to the main characters changes with each book. I certainly hope this isn't the last of the Scotland Yard's Murder Squad! An Amazon Best Book Water shrouds the fascinating, often doomed characters of The Book of Speculation. Featuring mermaids, swarms of horseshoe crabs, deadly floods, and the silent secrets of an ancient tarot deck, The Book of Speculation is split like a savory peach between the odd ventures of a traveling carnival in the late 1700s and the modern-day discovery by librarian Simon Watson of an old, handwritten volume containing his grandmother’s name. The water-damaged book may reveal the root of certain mysteries in his family, such as why the women can hold their breath far, far longer than normal, and the inexplicable reason they have all drowned while young women on the exact same date—a date that is only a few days away as the book begins. When Simon’s sister, Enola, unexpectedly returns home, vibrating with an angry sadness Simon has never seen before, Simon dives deeper into the book and the dark waters of their family history, hoping to change what he fears is her destiny. Erika Swyler has written an engrossing literary tale-spinner with an assurance rarely mastered in debut novels, allowing a well-placed detail or a lyrical phrase to paint a character or sketch even as she builds tension like a pro. 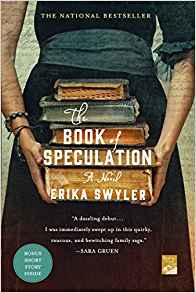 As Simon grows obsessed with unraveling the secrets in his book, so will you become bewitched by The Book of Speculation. I picked this book up at a thrift store. The cover read like it was more of a family mystery then anything else. And it was! It was a nice break from detective books. It read a lot like digging up ancestry, but in this case it wasn't just an interest... it turned into fear for life. I read it pretty quickly so that means it held my interest, and it did have some surprises along the way. I was never much into "side shows" or Tarot cards, but in this case it worked well. By the end of the book I was wondering how people put so much belief in Tarot cards.. and made me curious at the same time . Has anyone ever had the fortune told?